Moving such a motion in the Nigerian Senate is a necessity that is aimed at attaining the status of "Legislative Obligation" to the Senators who are representing the region. This is because, such a demand has assumed a very dangerous precedence within the senatorial districts for over four good years now which the Nigerian government, has failed in it's desperate bid to quell, through the instrumentality of military brutality and suppression, thereby orchestrating several loss of hundreds of lives. 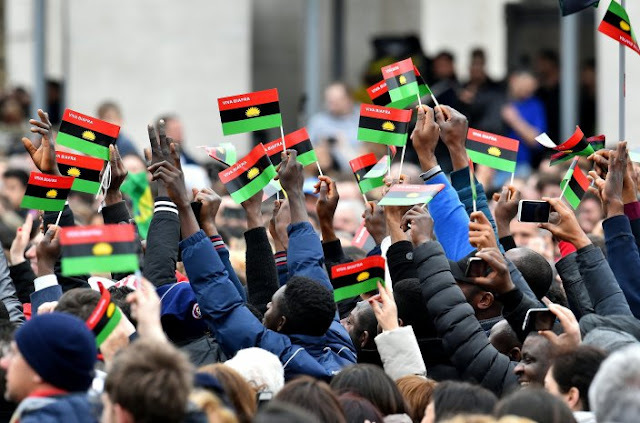 Biafrans have agitated, protested, picketed, rallied, carried out civil disobediences, suffered loss of precious lives and with thousands including women, extra-judicially detained, because of this demand for the restoration of the sovereignty of Biafra. However, to the greatest chagrin of the global community, no Senator or member of the House of Representatives of Biafra extraction, has deemed it worthy to conduct any constituency hearing or town hall meeting on this very issue. All the legislators have maintained sealed lips in both chambers of national legislature as if everything was okay back home.